Dany Cohiba, Currently signed on this labels STEALTH RECORDS (Roger Sanchez Label), HED KANDI, STEREO PRODUCTIONS, TIGER RECORDS, PACHA RECORDINGS, HOUSESESSION RECORDS, S2G PRODUCTIONS, IBIZA WORLD RECORDS, VENDETTA RECORDS, ADAPT RECORDINGS, I LIKE THAT! !, ADVERSO (Mario Ochoa Label) , MJUZiEEK, and mamy other TOP House Labels! 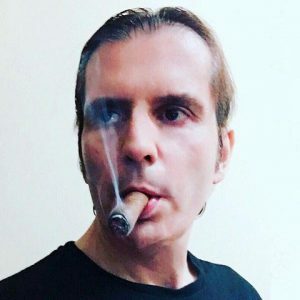 Dany Cohiba, has 21 years working as a Dj and producer, has worked in his country Spain and internationally in many clubs, and produced more than 150 tracks, and CD / Albums and compilations and remixes Dany work and publish on the 90´s his tracks on labels like, Tanga Records (Vale Music), Tempo Music, Pierre Lawel Records, producing tracks with renowned artists such as Topazz, author of the song “The New Millennium” which came to number one lists of England. Is one of the firsts Spanish remixers to work for DMC (Disco Mix Club) remixing the famous song from Deep Purple “Smoke on The Water” Official 40th Anniversary remix. Gaining support from djs and prducers like: Bob Sinclar, Erick Morillo, , Stonebridge, Bob Sinclair, Erick Morillo, Tocadisco, Roger Sanchez, Peter Brown , Antoine Clamaran, ATFC, and many others!